My Uncle Bob and Aunt Chrissy are having a baby! Little Ryan is due in less than a month and we are so excited to meet him. They've been waiting over twenty years for this sweet little guy and I'm sure he will have been worth the wait. For such a blessing, I knew I'd have to get to work painting! Just like Natassia, Aunt Chrissy decided on a Classic Pooh theme for the nursery. I set to work on making some rendered reproductions of the original illustrations by Ernest H. Shepard. 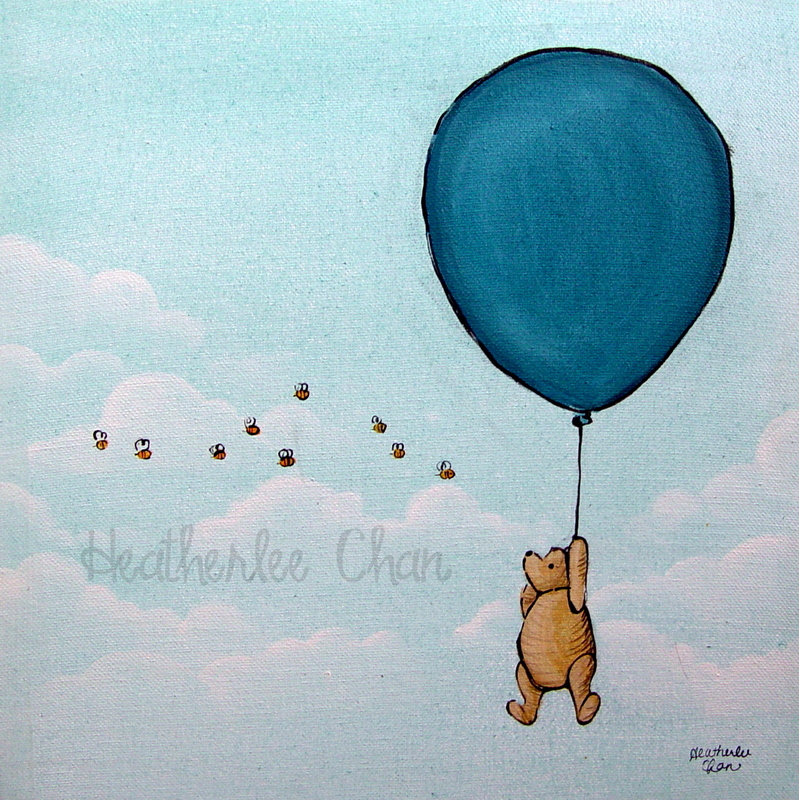 You can see Natassia's Pooh paintings here. Pooh, Piglet, Tigger, and Eeyore visit Christopher Robin at the tree house. 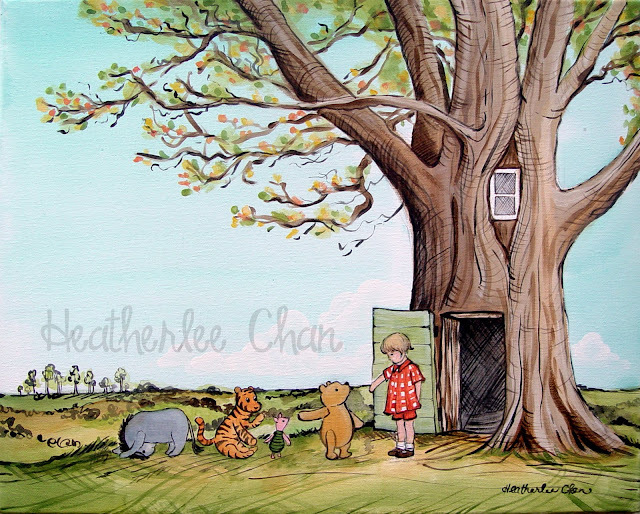 The original only had Pooh visiting. 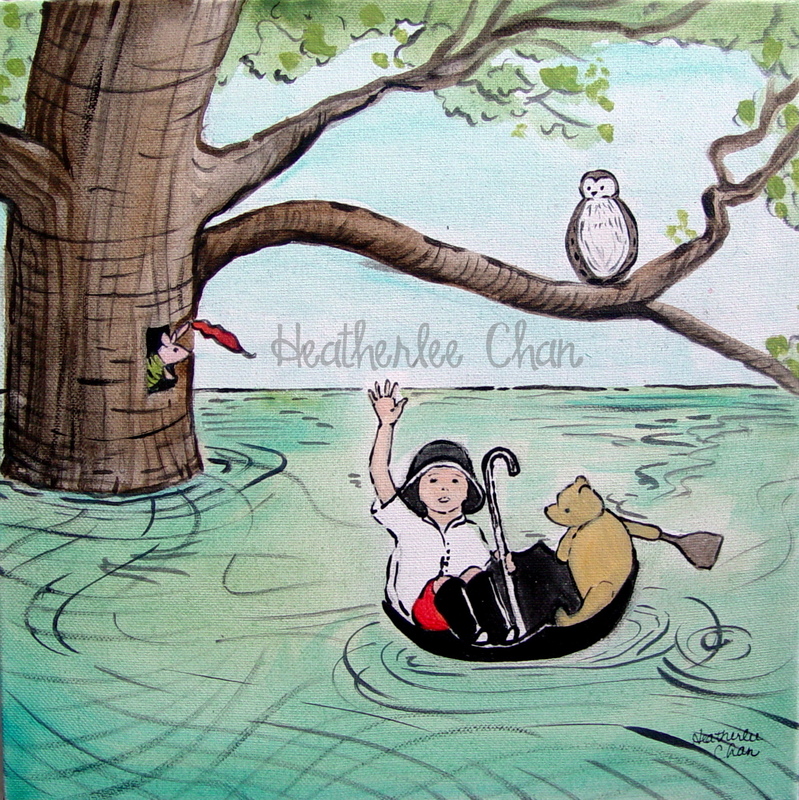 Hundred Acres is flooded! I compbined two illustrations to make this painting. Pooh and Christopher Robin are in the umbrella while Owl sits on the branch talking and Piglet is calling for help. Pooh, his balloon (or rain cloud disguise), and the honey bees. It's pretty much the same as my last one. Pooh and Piglet watching Christopher Robin nail Eeyore's tail back on. 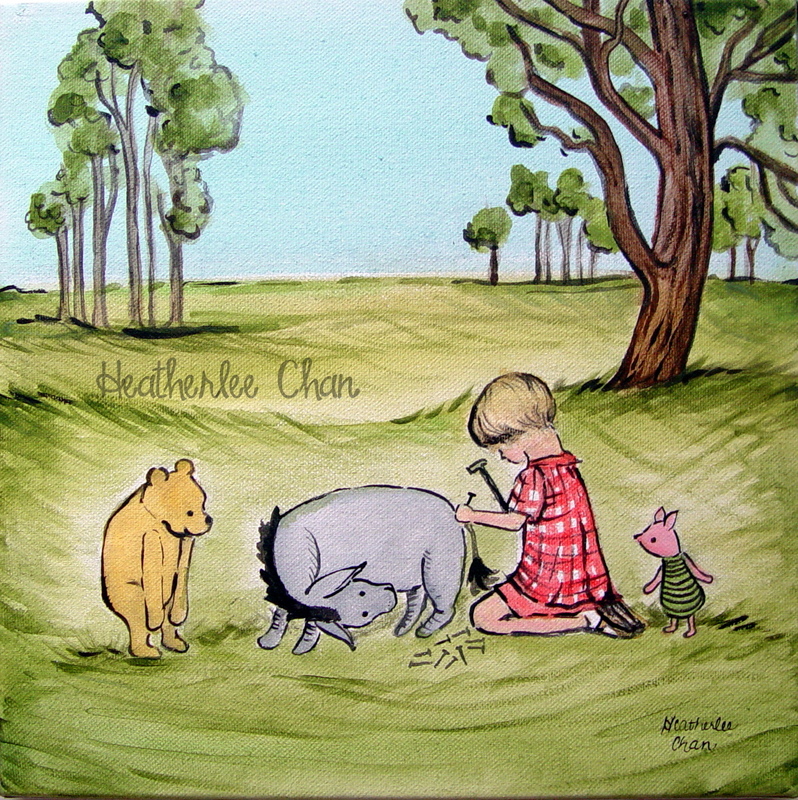 Piglet was added to this illustration. These are adorable! I bet the nursery looks amazing. Thank you so much thepagesage!